Happy St. Patrick’s Day We R fans! I hope you’ve got your green on today. But, if not…you’re in luck. 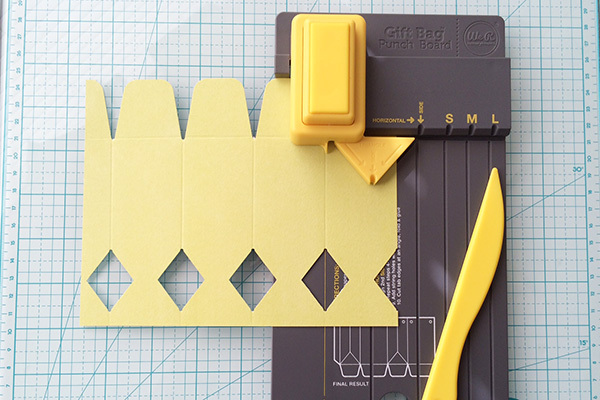 I’ve got a fun green project to share with you today that will keep you pinch proof. 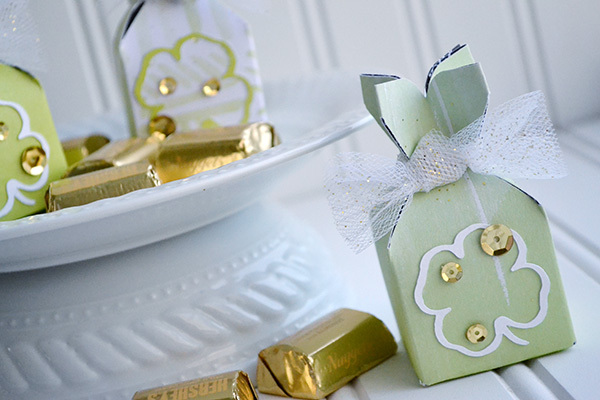 Check out these Lucky Candy Boxes! 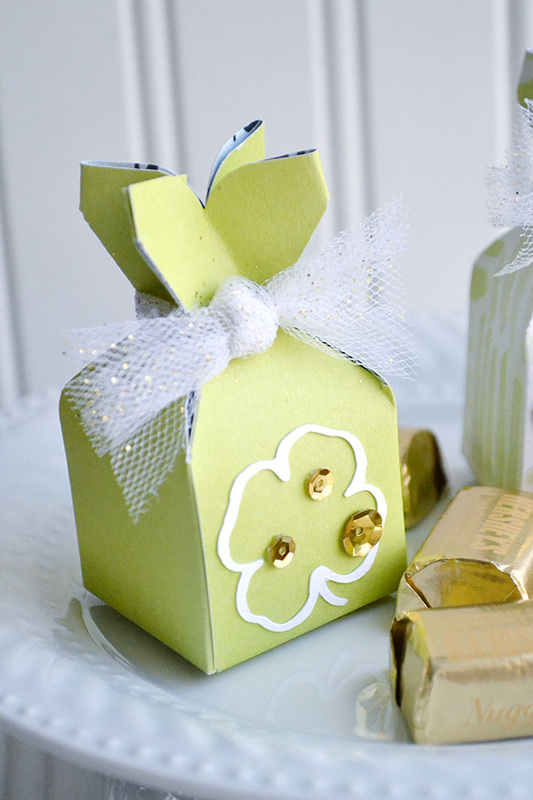 To create these festive treat containers I used a cool trick that combines both the Candy Box Punch Board and the Gift Bag Punch Board. I started out by trimming a 4 1/2″ x 7″ piece of paper. 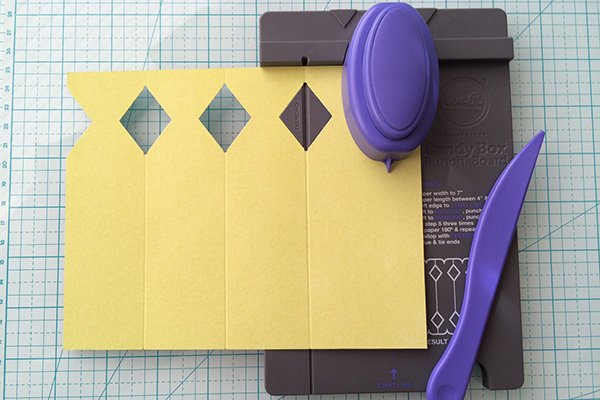 I followed the instructions on the Candy Box Punch Board to punch and score the first side of the paper, and then used the reverse punch on the candy box edge. 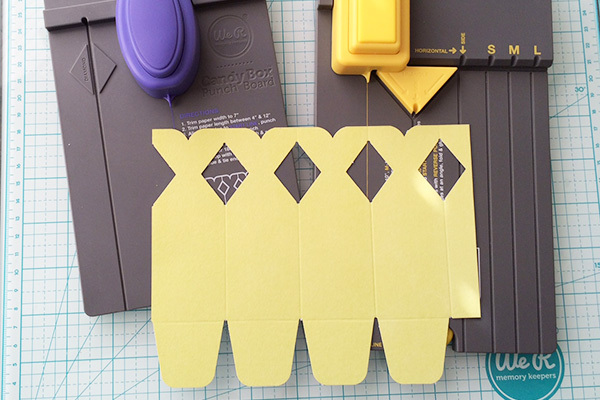 Next I pulled out my Gift Bag Punch Board and placed the opposite side of the paper into the punch. I scored the paper all the way across using the horizontal score line. Then I lined up the first vertical Candy Box score line on my paper with the start on the Gift Box Punch Board and punched. 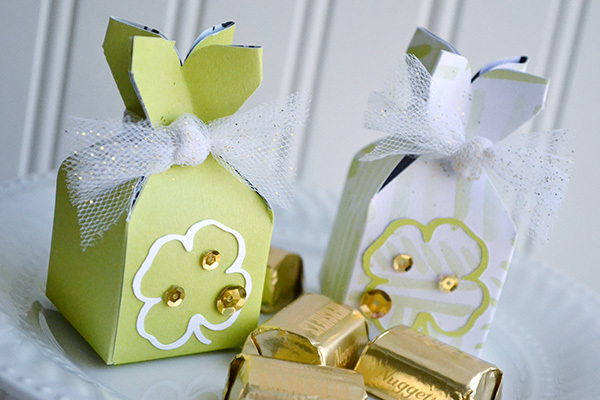 Then I assembled the box with some strong adhesive, filled it with chocolate (this box fits 3 Hershey’s Nuggets perfectly), tied some glitter tulle around the top, and added a die cut shamrock and some gold sequins. Where can I buy these two punch boards ? I’ve been doing these for almost a year now. 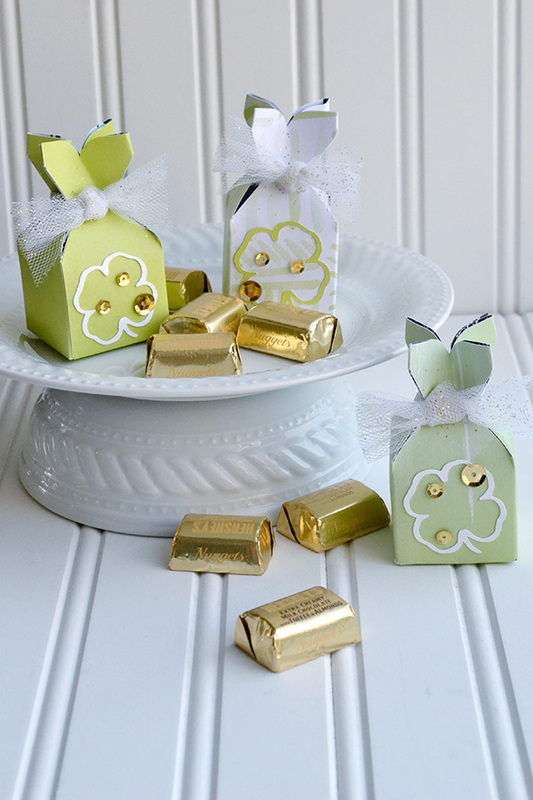 They are a great size for chocolate truffles, and make a great combination of place card+favor container for any occasion! These are great! I have both these boards – it’s good to find other ways of using them. Thanks for the inspiration!